Corporate media have always attacked leftists for their positions on Venezuela, a country consistently demonized and misrepresented in the US press (FAIR.org, 6/1/02, 11/1/05, 4/1/13, 2/22/19). But with President Donald Trump’s latest tightening of sanctions, and signs of a build-up to a long-rumored invasion (Fox News, 2/27/19), the media’s Venezuela-baiting has been turned up to 11. The political right is uniting with establishment Democrats in denouncing presidential hopeful Bernie Sanders for his supposedly pro-dictatorship stance on Venezuela. And the media are piling on. In fact, the 2018 Venezuelan elections were watched over and endorsed as free by over 150 international observers, although media uniformly ignored those bothersome facts (FAIR.org, 5/23/18). It should also be noted that “civil society” is not a neutral, but a highly loaded term (FAIR.org, 1/31/19). In a study of over 500 articles across a 20-year period, I found that the term was used exclusively to refer to the light-skinned US-backed Venezuelan elite, and never once to the largely black, largely working-class groups who support the government. The UN and Red Cross have also rejected the US “aid” Sanders demands be let in as politically motivated, and have long worked closely with the Venezuelan government in supplying and distributing genuine international aid across the country. Moreover, the McClatchy DC bureau (2/7/19) has already exposed how weapons are being smuggled into the country from the US. Thus, the senator’s statements echoed and supported many of Trump, John Bolton and Elliott Abrams’ discredited regime change talking points. It’s possible to oppose US interventionism without making further excuses for the dictatorship in Caracas. The unequivocal statements put out by US Sen. Bernie Sanders make a nonsense of the idea that the left has some duty to protect dictators simply because they purport to be socialists. Regime change is exactly what the people of Venezuela want. Bernie is siding with the dictator, who survives in power only because of the military and Cuban intelligence. The Washington Post’s Jackson Diehl (1/31/19) wrote that Sanders was “poorly informed” and “dead wrong” about Venezuela, since in Diehl’s view the “US has avoided full-scale confrontation with Venezuela” for decades—ignoring Washington’s support for overthrowing the Venezuelan government going back at least to 2002, and devastating sanctions that have crippled Venezuela’s oil industry and access to credit. The Washington Examiner (2/21/19) wrote of the senator’s “choking immorality” and “rank hypocrisy” for refusing to call for the removal of Maduro, aka “the child butcher of Venezuela.” The Miami Herald (2/1/19) began an article, “Shame on you, Bernie Sanders!”—claiming that, by “parroting a dictator’s propaganda,” he was doing Trump a favor by driving voters to the president’s supposedly more sensible position on the country. Politico presented Maduro as an isolated tyrant and the White House’s regime change position as common sense. In a nod to balance, it did inform readers that countries like North Korea, Syria, Iran and Russia opposed the plan. It did not inform readers that states such as Norway, Italy, Switzerland, Mexico and South Africa, nations that are not continually demonized in the US media, also recognize Maduro’s government. For over a month, the media have continued to pursue Sanders with the same question. 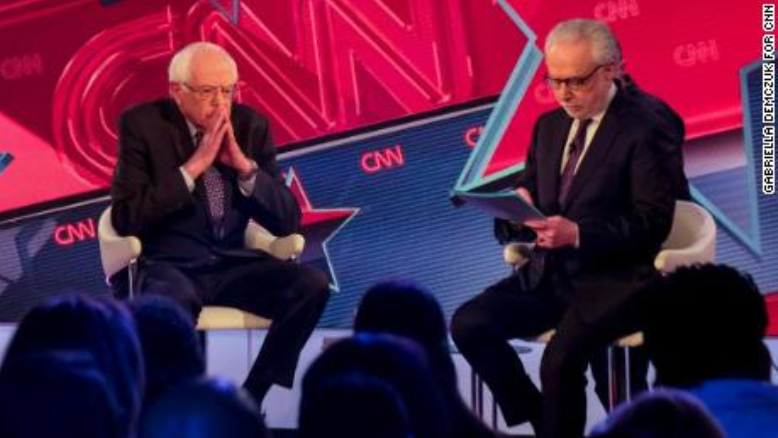 Sanders was grilled live at a town hall by Wolf Blitzer on February 25 (CNN, 2/26/19): “Why have you stopped short of calling Maduro of Venezuela a dictator?” the journalist demanded. 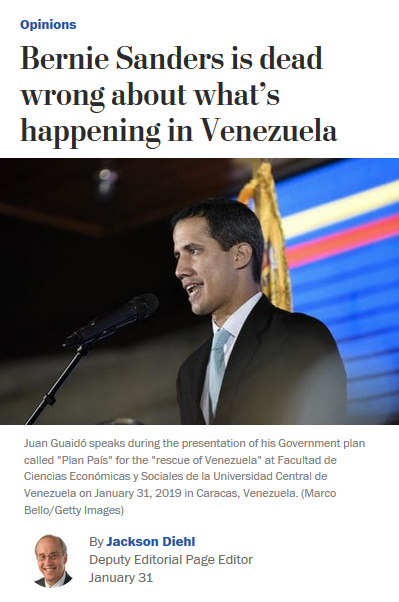 In reality, 75 percent of the world’s countries have rejected the US position that Juan Guaidó is the legitimate president of Venezuela, according to a study by Venezuelanalysis (2/6/19). The UN has formally condemned the US sanctions, with a UN special rapporteur comparing them to a “medieval siege” and declaring the US guilty of “crimes against humanity” (London Independent, 1/26/19). These inconvenient truths that form the basis for international understanding of the situation have not been reported by the New York Times, CNN, MSNBC or other national news outlets. International opinion, never in favor of the US, is fast turning actively hostile to Trump’s plans, most of which are tacitly or explicitly endorsed by Sanders. The US was excoriated at a UN Security Council meeting (2/26/19), while the unity of the Lima Group—a collection of right-wing Latin American states created by Washington with the express intention of regime change in Venezuela—is disintegrating. Even Brazil’s fascist government has backed away from Trump’s military build-up, stating under no circumstances would it be part of an invasion (The Hill, 2/25/19). Other key partners like Colombia, Chile and Peru made similar statements, while important European allies Spain and Germany have categorically rejected the military option (Guardian, 2/25/19). Thus, in trying to isolate Venezuela, the extreme position the US has taken has virtually isolated itself. 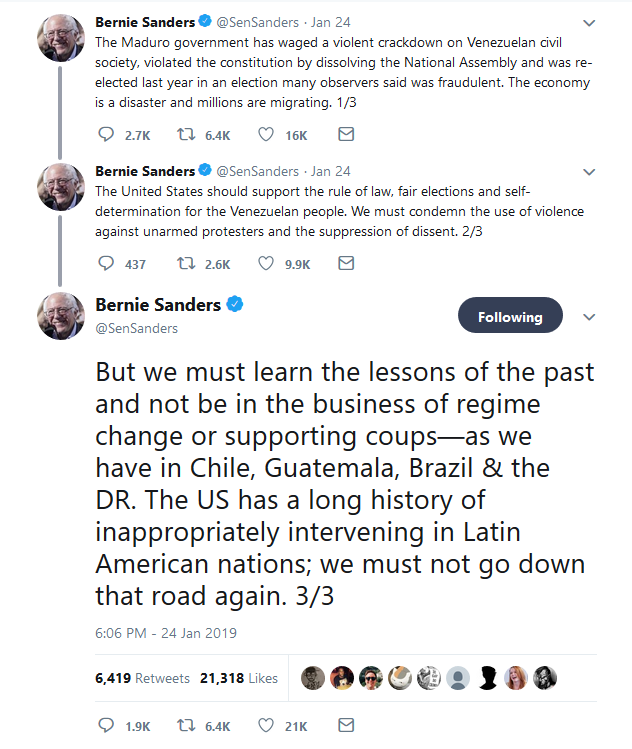 Nevertheless, the media continue to heap pressure on Sanders to conform to Washington’s aggressive foreign policy, deemed too extreme even for far-right governments like Brazil to countenance. Despite his denouncing Maduro and backing the US’s dubious “humanitarian” demands, his reminder that the US has a record of “inappropriately intervening in Latin American nations” appears to be too much for columnists and TV anchors to accept.  In their seminal study of the media, Manufacturing Consent, Edward Herman and Noam Chomsky argued that there is an all-pervading anti-socialist secular religion in the press. They noted that leftists at home are constantly accused of supporting the “atrocities” of “socialist” countries, keeping them permanently on the defensive and demanding they support reactionary policies abroad in order to prove their democratic credentials. So useful is Venezuela-baiting that it is being used around the world to chide leftist politicians into supporting regime change. 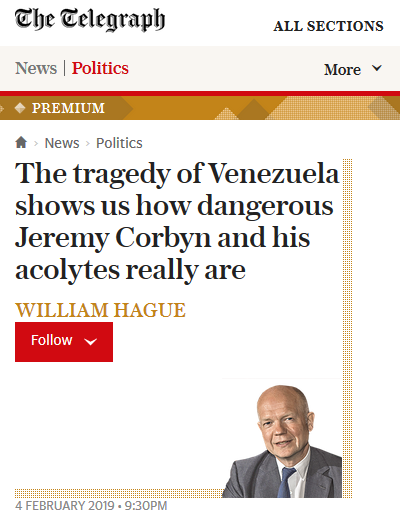 The Daily Telegraph (2/4/19) claimed that “the tragedy of Venezuela” shows how “dangerous” UK Labour Party leader Jeremy Corbyn is, while the Daily Express (2/5/19) accused Corbyn of “moral bankruptcy” for his failure to sufficiently denounce Maduro. Meanwhile, leftist Greek Prime Minister Alexis Tsipras has been condemned for his failure to support those “fighting for a democratic Venezuela” (Ekathimerini, 2/7/19).